This Vehicle is a Certified Pre-Owned Vehicle and has passed a 138-Point Inspection and comes with complimentary 12 Months / 12,000 miles of exclusionary coverage and 84 months / 100,000 miles of limited power-train coverage* This Jeep includes: QUICK ORDER PACKAGE 23G HIGH ALTITUDE EDITION AIR CONDITIONING W/AUTO TEMP CONTROL ENGINE: 2.4L I4 DOHC 16V DUAL VVT (STD) BRIGHT WHITE CLEARCOAT DARK SLATE GRAY, LEATHER TRIMMED BUCKET SEATS TRANSMISSION: 6-SPEED AUTOMATIC *Note - For third party subscriptions or services, please contact the dealer for more information. * This vehicle is loaded with great features, plus it comes with the CARFAX BuyBack Guarantee. 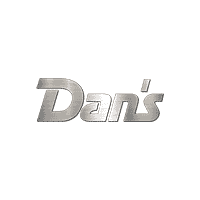 We at Dan's Jeep Chrysler Dodge Inc are very meticulous. This hand-selected Certified Pre-Owned vehicle has surpassed our own standards and requirements. This versatile SUV is perfect for families or contractors with its oversized cargo area, exceptional horsepower and option upgrades. Simply put, this Four Wheel Drive is engineered with higher standards. Enjoy improved steering, superior acceleration, and increased stability and safety while driving this 4WD Jeep Patriot High Altitude Edition. The Patriot High Altitude Edition is well maintained and has just 29,878mi. This low amount of miles makes this vehicle incomparable to the competition. More information about the 2016 Jeep Patriot: The Patriot is an unexpectedly capable city car, combining a boxy, rugged-looking traditional Jeep appearance with car-like handling, good outward visibility, an interior that's comfortable for four adults and a city-friendly small-car size. The drivetrain and ground clearance, combined with an available Freedom-Drive II off-road package, makes for respectable off-road capability as well. Even the base model includes a strong list of essential safety features. Strengths of this model include tech options, off-road ability plus fuel economy, Interior and cargo space, maneuverability and parking ease, and safety features *This coverage will be measured from the Manufacturer's original in service date and from zero miles and will expire at 100,000 miles or 84 months from the original in-service date, whichever comes first. This Vehicle is a Certified Pre-Owned Vehicle and has passed a 138-Point Inspection and comes with complimentary 12 Months / 12,000 miles of exclusionary coverage and 84 months / 100,000 miles of limited power-train coverage* When you purchase a vehicle with the CARFAX Buyback Guarantee, you're getting what you paid for. In their original incarnation, SUVs were chiefly owned by folks who valued utility above sport. Not anymore! The Jeep Compass High Altitude Edition redefines the SUV and makes the perfect all around family companion. This Jeep Compass High Altitude Edition comes equipped with 4 wheel drive, which means no limitations as to how or where you can drive. Different terrains and varying weather conditions will have no effect as to how this vehicle performs. A Jeep with as few miles as this one is a rare find. This Compass High Altitude Edition was gently driven and it shows. More information about the 2016 Jeep Compass: Along with the closely related Jeep Patriot, the Jeep Compass is one of the lowest-priced off-road-capable utility vehicles on the market when equipped with the optional Freedom Drive II Off-Road Package, yet it packs that in a vehicle that rides and handles for the most part like a car. Ease of parking and maneuverability are strengths for this model, and it's also reasonably fuel-efficient at an EPA-estimated highway 30 mpg. The Compass can also optioned to tow up to 2,000 pounds--enough for a couple of jet-skis. Strengths of this model include hybrid efficiency, V6 power, terrific interior room and comfort levels, and Incredible chassis dynamics *This coverage will be measured from the Manufacturer's original in service date and from zero miles and will expire at 100,000 miles or 84 months from the original in-service date, whichever comes first. This Vehicle is a Certified Pre-Owned Vehicle and has passed a 138-Point Inspection and comes with complimentary 12 Months / 12,000 miles of exclusionary coverage and 84 months / 100,000 miles of limited power-train coverage* This Jeep includes: GRANITE CRYSTAL METALLIC CLEARCOAT POWER FRONT/FIXED REAR FULL SUNROOF Generic Sun/Moonroof Sun/Moonroof Dual Moonroof COMFORT/CONVENIENCE GROUP Multi-Zone A/C Keyless Start Remote Engine Start A/C Climate Control Auto-Dimming Rearview Mirror Universal Garage Door Opener Security System Power Driver Seat Power Door Locks Keyless Entry Power Liftgate Driver Adjustable Lumbar Remote Trunk Release ENGINE: 2.4L I4 PZEV M-AIR 4 Cylinder Engine Gasoline Fuel BLACK, PREMIUM CLOTH BUCKET SEATS Cloth Seats Bucket Seats QUICK ORDER PACKAGE 21J RADIO: UCONNECT 8.4 NAV WiFi Hotspot HD Radio Navigation System AM/FM Stereo Satellite Radio Bluetooth Connection Telematics Auxiliary Audio Input MP3 Player *Note - For third party subscriptions or services, please contact the dealer for more information. * This vehicle is loaded with great features, plus it comes with the CARFAX BuyBack Guarantee. Enjoy an extra level of calm when purchasing this Jeep Cherokee Latitude, it's a CARFAX One-Owner. The CARFAX report shows everything you need to know to confidently make your pre-owned purchase. This exceptional 2016 Cherokee Latitude has passed the Jeep stringent standards and has been hand-selected to become a Certified Pre-Owned vehicle. The quality of this vehicle will undoubtedly ensure a worry-free buying experience. This Jeep Cherokee offers all the comforts of a well-optioned sedan with the utility you demand from an SUV. This Jeep Cherokee Latitude comes equipped with 4 wheel drive, which means no limitations as to how or where you can drive. Different terrains and varying weather conditions will have no effect as to how this vehicle performs. Exceptional in every sense of the word, this incredibly low mileage vehicle is one of a kind. This vehicle comes with a navigation system. That doesn't mean you won't get lost. But it does mean you won't stay lost. Beautiful exterior. Clean interior. This Jeep Cherokee is so immaculate it is practically new. More information about the 2016 Jeep Cherokee: The Cherokee is a compact SUV competing with vehicles such as the Toyota RAV4 and the Honda CR-V. Like the Cherokees that came before, the 2016 model maintains the tradition of competitive pricing and strong off-road capability starting at just under $24,000. While the Cherokee and its competitors are often offered with all-wheel-drive, the Cherokee offers more aggressive off-roading equipment, such as a locking rear differential. This model sets itself apart with well equipped, Good ground clearance, available all-wheel-drive, roomy interior, excellent value, and bold styling *This coverage will be measured from the Manufacturer's original in service date and from zero miles and will expire at 100,000 miles or 84 months from the original in-service date, whichever comes first. Certified. granite crystal metallic clearcoat 2016 Jeep Cherokee Latitude 4WD 9-Speed 948TE Automatic 2.4L 4-Cylinder SMPI SOHC ***CERTIFIED PRE-OWNED***, Panoramic Moonroof, Air Conditioning ATC w/Dual Zone Control, Cargo Net, Comfort/Convenience Group, Humidity Sensor, Passive Entry/Keyless Go, Power Liftgate, Premium Air Filter, Quick Order Package 21J, Rear-View Auto-Dimming Mirror w/Microphone, Remote Proximity Keyless Entry, Remote Start System, Security Alarm, Universal Garage Door Opener. Recent Arrival! Odometer is 13068 miles below market average! Certification Program Details: Verified Ride Certified Pre-Owned Dan's Jeep Chrysler Dodge in greater Worcester is proud to serve Westborough, Hudson and Millbury with quality Chrysler, Ram, Jeep, Dodge and pre-owned vehicles. We carry a variety of used cars for you to choose from, all of which have gone through our detailed quality inspection before made available on the lot. To make your buying decision easier, we have priced our inventory at a Bottom Line Price. We want to make the process as easy as possible. Still not clear about why so many trust Dan's Jeep Chrysler Dodge, Inc. For all of their Jeep, RAM, Dodge and Chrysler needs? Visit our dealership at 82 Turnpike Rd (route 9) Westborough, Massachusetts and find out for yourself! This Vehicle is a Certified Pre-Owned Vehicle and has passed a 138-Point Inspection and comes with complimentary 12 Months / 12,000 miles of exclusionary coverage and 84 months / 100,000 miles of limited power-train coverage* This Jeep includes: WHEELS: 17 DARK SLATE GRAY, LEATHER TRIMMED BUCKET SEATS Leather Seats Bucket Seats QUICK ORDER PACKAGE 23P HIGH ALTITUDE Remote Engine Start Generic Sun/Moonroof Power Driver Seat Sun/Moonroof BRIGHT WHITE CLEARCOAT TRANSMISSION: 6-SPEED AUTOMATIC (STD) Transmission w/Dual Shift Mode A/T 6-Speed A/T RADIO: 430N Navigation System Hard Disk Drive Media Storage MP3 Player PARKVIEW REAR BACK-UP CAMERA Back-Up Camera AM/FM Stereo Hard Disk Drive Media Storage MP3 Player *Note - For third party subscriptions or services, please contact the dealer for more information. * This vehicle is loaded with great features, plus it comes with the CARFAX BuyBack Guarantee. As a Certified Pre-Owned vehicle, this Jeep Compass High Altitude offers you the peace of mind because you know it has been rigorously inspected to meet exacting standards. Perfect for the on-the-go family, this Jeep Compass High Altitude is an SUV everyone will love. With exceptional mileage, options and power, you'll insist on driving it on all your outings. This 4WD-equipped vehicle handles any condition on- or off-road with the sure footedness of a mountain goat. With unequaled traction and stability, you'll drive with confidence in any weather with this Bright White Clearcoat 2017 4WD Jeep Compass High Altitude. The Compass High Altitude is well maintained and has just 19,358mi. This low amount of miles makes this vehicle incomparable to the competition. Intricately stitched leather and ergonomic design seats are among the details in which test drivers say that Jeep Compass is in a league of its own You can forget your phone at home, but thanks to this car you'll always have your navigation system. More information about the 2017 Jeep Compass: The Jeep Compass is one of the lowest-priced off-road utility vehicles on the market. With fresh new styling reminiscent of the upscale Cherokee, it's also a standout design in a crowded segment. Ease of parking and maneuverability remain strengths for the model, and it's also reasonably fuel-efficient at an EPA-estimated 30 mpg. When properly equipped, the Compass can tow up to 2,000 pounds. And its off-road prowess is rooted in Jeep's legacy of go-anywhere, do-anything capability, particularly in the Trailhawk variant. Interesting features of this model are Distinctive styling, versatile layout for people and gear, price, maneuverability, and off-road capability *This coverage will be measured from the Manufacturer's original in service date and from zero miles and will expire at 100,000 miles or 84 months from the original in-service date, whichever comes first. This Vehicle is a Certified Pre-Owned Vehicle and has passed a 138-Point Inspection and comes with complimentary 12 Months / 12,000 miles of exclusionary coverage and 84 months / 100,000 miles of limited power-train coverage* This Jeep includes: RADIO: UCONNECT 8.4 WiFi Hotspot Smart Device Integration AM/FM Stereo Bluetooth Connection Telematics Auxiliary Audio Input MP3 Player ENGINE: 2.4L I4 MULTIAIR 4 Cylinder Engine Gasoline Fuel COMFORT/CONVENIENCE GROUP Multi-Zone A/C Keyless Start Remote Engine Start A/C Climate Control Auto-Dimming Rearview Mirror Universal Garage Door Opener Security System Power Driver Seat Power Door Locks Keyless Entry Power Liftgate Driver Adjustable Lumbar Remote Trunk Release WHEELS: 17 Aluminum Wheels BLACK, PREMIUM CLOTH BUCKET SEATS Cloth Seats Bucket Seats QUICK ORDER PACKAGE 21J POWER FRONT/FIXED REAR FULL SUNROOF Generic Sun/Moonroof Sun/Moonroof Dual Moonroof TONNEAU COVER Cargo Shade BRILLIANT BLACK CRYSTAL PEARLCOAT TRANSMISSION: 9-SPEED 948TE AUTOMATIC 1 SPEED PTU (STD) Transmission w/Dual Shift Mode A/T 9-Speed A/T *Note - For third party subscriptions or services, please contact the dealer for more information. * CARFAX BuyBack Guarantee is reassurance that any major issues with this vehicle will show on CARFAX report. This exceptional 2016 Cherokee Latitude has passed the Jeep stringent standards and has been hand-selected to become a Certified Pre-Owned vehicle. The quality of this vehicle will undoubtedly ensure a worry-free buying experience. If you're in the market for an incredible SUV -- and value on-the-road comfort and manners more than ultimate off-road prowess or tow capacity -- you'll definitely want to check out this Jeep Cherokee Latitude. At home in the country and in the city, this 2016 4WD Jeep Cherokee Latitude has been wonderfully refined to handle any occasion. Smooth steering, superior acceleration and a supple ride are just a few of its qualities. With less than 28,791mi on this Jeep Cherokee, you'll appreciate the practically showroom newness of this vehicle. More information about the 2016 Jeep Cherokee: The Cherokee is a compact SUV competing with vehicles such as the Toyota RAV4 and the Honda CR-V. Like the Cherokees that came before, the 2016 model maintains the tradition of competitive pricing and strong off-road capability starting at just under $24,000. While the Cherokee and its competitors are often offered with all-wheel-drive, the Cherokee offers more aggressive off-roading equipment, such as a locking rear differential. Interesting features of this model are well equipped, Good ground clearance, available all-wheel-drive, roomy interior, excellent value, and bold styling *This coverage will be measured from the Manufacturer's original in service date and from zero miles and will expire at 100,000 miles or 84 months from the original in-service date, whichever comes first. This Vehicle is a Certified Pre-Owned Vehicle and has passed a 138-Point Inspection and comes with complimentary 12 Months / 12,000 miles of exclusionary coverage and 84 months / 100,000 miles of limited power-train coverage* This Jeep includes: BRIGHT WHITE CLEARCOAT COMFORT/CONVENIENCE GROUP Multi-Zone A/C Keyless Start Remote Engine Start A/C Climate Control Auto-Dimming Rearview Mirror Universal Garage Door Opener Security System Power Driver Seat Power Door Locks Keyless Entry Power Liftgate Driver Adjustable Lumbar Remote Trunk Release QUICK ORDER PACKAGE 26K ALTITUDE (RETAIL) TRANSMISSION: 9-SPEED 948TE AUTOMATIC 1 SPEED PTU (DISC) Transmission w/Dual Shift Mode A/T 9-Speed A/T POWER FRONT/FIXED REAR FULL SUNROOF Generic Sun/Moonroof Sun/Moonroof Dual Moonroof COLD WEATHER GROUP Keyless Start Remote Engine Start Power Mirror(s) Heated Steering Wheel Heated Mirrors Floor Mats Heated Front Seat(s) ENGINE: 3.2L V6 24V VVT W/ESS V6 Cylinder Engine Gasoline Fuel *Note - For third party subscriptions or services, please contact the dealer for more information. * This 2016 Jeep Cherokee comes with a CARFAX Buyback Guarantee, which means you can buy with certainty. CARFAX shows that this is a one-owner vehicle -- no wonder it's in such great condition. Certified Pre-Owned means certified peace of mind. If you're in the market for an incredible SUV -- and value on-the-road comfort and manners more than ultimate off-road prowess or tow capacity -- you'll definitely want to check out this Jeep Cherokee Altitude. This 4WD-equipped vehicle handles any condition on- or off-road with the sure footedness of a mountain goat. With unequaled traction and stability, you'll drive with confidence in any weather with this Bright White Clearcoat 2016 4WD Jeep Cherokee Altitude. This vehicle has extremely low mileage on the odometer, so while it's pre-owned, it's practically new. This Jeep Cherokee Altitude is in great condition both inside and out. No abnormal wear and tear. More information about the 2016 Jeep Cherokee: The Cherokee is a compact SUV competing with vehicles such as the Toyota RAV4 and the Honda CR-V. Like the Cherokees that came before, the 2016 model maintains the tradition of competitive pricing and strong off-road capability starting at just under $24,000. While the Cherokee and its competitors are often offered with all-wheel-drive, the Cherokee offers more aggressive off-roading equipment, such as a locking rear differential. Interesting features of this model are well equipped, Good ground clearance, available all-wheel-drive, roomy interior, excellent value, and bold styling *This coverage will be measured from the Manufacturer's original in service date and from zero miles and will expire at 100,000 miles or 84 months from the original in-service date, whichever comes first. Certified. Bright White Clearcoat 2016 Jeep Cherokee 4WD 9-Speed 948TE Automatic 3.2L V6 ***CERTIFIED PRE-OWNED***, One Owner, Clean Carfax, Backup Camera, Panoramic Moonroof, Bluetooth, Hands-Free, Air Conditioning ATC w/Dual Zone Control, Cargo Net, Comfort/Convenience Group, Humidity Sensor, Passive Entry/Keyless Go, Power Liftgate, Premium Air Filter, Rear-View Auto-Dimming Mirror w/Microphone, Remote Proximity Keyless Entry, Remote Start System, Security Alarm, Universal Garage Door Opener. Recent Arrival! Certification Program Details: Verified Ride Certified Pre-Owned Dan's Jeep Chrysler Dodge in greater Worcester is proud to serve Westborough, Hudson and Millbury with quality Chrysler, Ram, Jeep, Dodge and pre-owned vehicles. We carry a variety of used cars for you to choose from, all of which have gone through our detailed quality inspection before made available on the lot. To make your buying decision easier, we have priced our inventory at a Bottom Line Price. We want to make the process as easy as possible. Still not clear about why so many trust Dan's Jeep Chrysler Dodge, Inc. For all of their Jeep, RAM, Dodge and Chrysler needs? Visit our dealership at 82 Turnpike Rd (route 9) Westborough, Massachusetts and find out for yourself! This Vehicle is a Certified Pre-Owned Vehicle and has passed a 138-Point Inspection and comes with complimentary 12 Months / 12,000 miles of exclusionary coverage and 84 months / 100,000 miles of limited power-train coverage* This Jeep includes: AIR CONDITIONING A/C TUBULAR SIDE STEPS Running Boards/Side Steps BLACK CLEARCOAT QUICK ORDER PACKAGE 24B BLACK, CLOTH BUCKET SEATS Cloth Seats Bucket Seats TRANSMISSION: 5-SPEED AUTOMATIC (W5A580) 5-Speed A/T A/T CONNECTIVITY GROUP Tire Pressure Monitor Bluetooth Connection Auxiliary Audio Input MP3 Player *Note - For third party subscriptions or services, please contact the dealer for more information. * CARFAX BuyBack Guarantee is reassurance that any major issues with this vehicle will show on CARFAX report. The Jeep Wrangler Sport offers a fair amount of utility thanks to its advanced features and unique styling. It's also quite sporty, and injects an ample amount of handling chutzpah into the ridin'-high body of a family-friendly SUV. Take home this Jeep Wrangler Sport, and you will have the power of 4WD. It's a great feature when you need to drive over tricky terrain or through inclement weather. The Wrangler Sport is well maintained and has just 61,270mi. This low amount of miles makes this vehicle incomparable to the competition. Looking for a Jeep Wrangler that is in great condition inside and out? Take a look at this beauty. More information about the 2014 Jeep Wrangler: With prices starting at a little over $22,000 with standard 4-wheel drive, the classic Wrangler is one of the best SUV values available. The 6-speed manual transmission helps the Wrangler achieve a decent 17 mpg city and 21 mpg highway rating. Jeep considers the Wrangler's off-road prowess integral to the brand and they continue to make one of the most capable 4-wheel drive vehicles available. Interesting features of this model are 2- and 4-door configurations available, Iconic styling, and impressive off-road prowess *This coverage will be measured from the Manufacturer's original in service date and from zero miles and will expire at 100,000 miles or 84 months from the original in-service date, whichever comes first. This Vehicle is a Certified Pre-Owned Vehicle and has passed a 138-Point Inspection and comes with complimentary 12 Months / 12,000 miles of exclusionary coverage and 84 months / 100,000 miles of limited power-train coverage* This Jeep includes: POWER FRONT/FIXED REAR FULL SUNROOF Generic Sun/Moonroof Sun/Moonroof Dual Moonroof ENGINE: 3.2L V6 24V VVT W/ESS V6 Cylinder Engine Gasoline Fuel QUICK ORDER PACKAGE 26J COMFORT/CONVENIENCE GROUP Multi-Zone A/C Keyless Start Remote Engine Start A/C Climate Control Auto-Dimming Rearview Mirror Universal Garage Door Opener Security System Power Driver Seat Power Door Locks Keyless Entry Power Liftgate Driver Adjustable Lumbar Remote Trunk Release TRAILER TOW GROUP Conventional Spare Tire Tow Hitch BLACK, PREMIUM CLOTH BUCKET SEATS Cloth Seats Bucket Seats COLD WEATHER GROUP Keyless Start Remote Engine Start Power Mirror(s) Heated Steering Wheel Heated Mirrors Floor Mats Heated Front Seat(s) TONNEAU COVER Cargo Shade BRILLIANT BLACK CRYSTAL PEARLCOAT *Note - For third party subscriptions or services, please contact the dealer for more information. * Only the CARFAX Buyback Guarantee can offer you the comfort of knowing you made the right purchase. If you're going to purchase a pre-owned vehicle, why wouldn't you purchase one with CARFAX one-owner report. This Certified 2016 Jeep Cherokee Latitude is a brilliant example of quality meets reliability. This vehicle has been thoroughly inspected and has an assured quality that you won't find with other vehicles. Gone are the days of SUVs being the size of a tank and handling like one. This Jeep Cherokee is a perfect example of how SUVs have evolved into vehicles that are as refined as they are rugged. This 4WD-equipped vehicle will handle majestically on any terrain and in any weather condition your may find yourself in. The benefits of driving an Four Wheel Drive vehicle, such as this JeepCherokee Latitude, include superior acceleration, improved steering, and increased traction and stability. It's not often you find just the vehicle you are looking for AND with low mileage. This is your chance to take home a gently used and barely driven Jeep Cherokee. Looking for a Jeep Cherokee that is in great condition inside and out? Take a look at this beauty. Treat yourself to a wonderful driving experience in this wel- optioned Jeep Cherokee Latitude. Equipped with the latest in driver comforts, this Jeep is the benchmark of modern automotive engineering. Find the quickest driving route in this Jeep Cherokee Latitude using the installed navigation system. This nav system is one of the easiest to use and will help get you where you need to go quickly! More information about the 2016 Jeep Cherokee: The Cherokee is a compact SUV competing with vehicles such as the Toyota RAV4 and the Honda CR-V. Like the Cherokees that came before, the 2016 model maintains the tradition of competitive pricing and strong off-road capability starting at just under $24,000. While the Cherokee and its competitors are often offered with all-wheel-drive, the Cherokee offers more aggressive off-roading equipment, such as a locking rear differential. Interesting features of this model are well equipped, Good ground clearance, available all-wheel-drive, roomy interior, excellent value, and bold styling *This coverage will be measured from the Manufacturer's original in service date and from zero miles and will expire at 100,000 miles or 84 months from the original in-service date, whichever comes first. Certified. Brilliant Black Crystal Pearlcoat 2016 Jeep Cherokee Latitude 4WD 9-Speed 948TE Automatic 3.2L V6 ***CERTIFIED PRE-OWNED***, One Owner, Clean Carfax, Backup Camera, Panoramic Moonroof, Bluetooth, Hands-Free, Air Conditioning ATC w/Dual Zone Control, All-Season Floor Mats, Cargo Net, Cold Weather Group, Comfort/Convenience Group, Engine Block Heater, Exterior Mirrors w/Heating Element, Heated Front Seats, Heated Steering Wheel, Humidity Sensor, Passive Entry/Keyless Go, Power Heated Mirrors, Power Liftgate, Premium Air Filter, Quick Order Package 26J, Rear-View Auto-Dimming Mirror w/Microphone, Remote Proximity Keyless Entry, Remote Start System, Security Alarm, Universal Garage Door Opener, Windshield Wiper De-Icer. Recent Arrival! Certification Program Details: Verified Ride Certified Pre-Owned Dan's Jeep Chrysler Dodge in greater Worcester is proud to serve Westborough, Hudson and Millbury with quality Chrysler, Ram, Jeep, Dodge and pre-owned vehicles. We carry a variety of used cars for you to choose from, all of which have gone through our detailed quality inspection before made available on the lot. To make your buying decision easier, we have priced our inventory at a Bottom Line Price. We want to make the process as easy as possible. Still not clear about why so many trust Dan's Jeep Chrysler Dodge, Inc. For all of their Jeep, RAM, Dodge and Chrysler needs? Visit our dealership at 82 Turnpike Rd (route 9) Westborough, Massachusetts and find out for yourself! This Vehicle is a Certified Pre-Owned Vehicle and has passed a 138-Point Inspection and comes with complimentary 12 Months / 12,000 miles of exclusionary coverage and 84 months / 100,000 miles of limited power-train coverage* This Jeep includes: QUICK ORDER PACKAGE 23H ENGINE: 3.6L V6 24V VVT (STD) Flex Fuel Capability V6 Cylinder Engine BRIGHT WHITE CLEARCOAT TRANSMISSION: 8-SPEED AUTOMATIC (8HP70) 8-Speed A/T Transmission w/Dual Shift Mode A/T RADIO: UCONNECT 8.4 NAV HD Radio Navigation System AM/FM Stereo Satellite Radio Bluetooth Connection Telematics Hard Disk Drive Media Storage MP3 Player WHEELS: 18 Aluminum Wheels BLACK, PREMIUM LEATHER TRIMMED BUCKET SEATS Leather Seats Bucket Seats *Note - For third party subscriptions or services, please contact the dealer for more information. * This 2015 Jeep Grand Cherokee comes with a CARFAX Buyback Guarantee, which means you can buy with certainty. Very few vehicles meet the exacting standards of Certified Pre-Owned status. This Jeep Grand Cherokee Limited has met those standards. Do so much more with one vehicle. This Jeep Grand Cherokee gives you everything you need an automobile to be. Taking the road less traveled has never been more fun than with this 4WD. With improved performance, mileage and acceleration, this 2015 4WD Jeep Grand Cherokee Limited is king of the off-road. Added comfort with contemporary style is the leather interior to heighten the quality and craftsmanship for the Jeep Grand Cherokee You can take the guesswork out of searching for your destination with this Jeep Grand Cherokee Limited's installed Navigation system. More information about the 2015 Jeep Grand Cherokee: The Jeep Grand Cherokee has proven itself the premiere luxury SUV for 20 years. The latest Grand Cherokee builds on that tradition by offering civilized highway driving as well as the equipment to make a credible show off-road. The base Laredo 4x2 starts at just under $29,000 and comes very well-equipped. The top-of-the-line SRT's all-wheel-drive on-road performance rivals that of the Porsche Cayenne Turbo, but for half the price. Interesting features of this model are powerful engine lineup with diesel availability, True, proven off-road prowess, luxurious interior, and high-performance SRT variant *This coverage will be measured from the Manufacturer's original in service date and from zero miles and will expire at 100,000 miles or 84 months from the original in-service date, whichever comes first. This Vehicle is a Certified Pre-Owned Vehicle and has passed a 138-Point Inspection and comes with complimentary 12 Months / 12,000 miles of exclusionary coverage and 84 months / 100,000 miles of limited power-train coverage* This Jeep includes: WIRELESS CHARGING PAD POWER FRONT/FIXED REAR FULL SUNROOF Generic Sun/Moonroof Sun/Moonroof Dual Moonroof BLACK, LEATHER TRIMMED BUCKET SEATS Leather Seats Bucket Seats BILLET SILVER METALLIC CLEARCOAT TONNEAU COVER Cargo Shade TRANSMISSION: 9-SPEED 948TE AUTOMATIC 1 SPEED PTU (STD) Transmission w/Dual Shift Mode A/T 9-Speed A/T RADIO: UCONNECT 8.4 NAV WiFi Hotspot HD Radio Navigation System AM/FM Stereo Satellite Radio Bluetooth Connection Telematics Auxiliary Audio Input MP3 Player QUICK ORDER PACKAGE 21G ENGINE: 2.4L I4 MULTIAIR 4 Cylinder Engine Gasoline Fuel *Note - For third party subscriptions or services, please contact the dealer for more information. * Drive home in your new pre-owned vehicle with the knowledge you're fully backed by the CARFAX Buyback Guarantee. With its full CARFAX one-owner history report, you'll know exactly what you are getting with this well-kept Jeep Cherokee. As a Certified Pre-Owned vehicle, this Jeep Cherokee Limited offers you the peace of mind because you know it has been rigorously inspected to meet exacting standards. The Cherokee Limited doesn't disappoint, and comes with all the quality and understated opulence buyers have come to expect from the respected Jeep marque. A truly versatile SUV, this vehicle will please even the most discerning of buyers. Want to brave the road less traveled? You'll have the 4WD capabilities to do it with this vehicle. This 2016 Jeep Cherokee has such low mileage it has been parked more than driven. Added comfort with contemporary style is the leather interior to heighten the quality and craftsmanship for the Jeep Cherokee This vehicle comes with a navigation system. That doesn't mean you won't get lost. But it does mean you won't stay lost. Rest assured, this vehicle was well care for. In fact, previous service records are included. This gently driven vehicle has been well-kept and still has the showroom shine. This Jeep Cherokee Limited comes standard with features that are essential in the 21st Century. However, Jeep decided to take it one step further and add a handful of quintessential options that will undoubtedly add to this vehicle's quality and value. More information about the 2016 Jeep Cherokee: The Cherokee is a compact SUV competing with vehicles such as the Toyota RAV4 and the Honda CR-V. Like the Cherokees that came before, the 2016 model maintains the tradition of competitive pricing and strong off-road capability starting at just under $24,000. While the Cherokee and its competitors are often offered with all-wheel-drive, the Cherokee offers more aggressive off-roading equipment, such as a locking rear differential. Strengths of this model include well equipped, Good ground clearance, available all-wheel-drive, roomy interior, excellent value, and bold styling *This coverage will be measured from the Manufacturer's original in service date and from zero miles and will expire at 100,000 miles or 84 months from the original in-service date, whichever comes first. Certified. billet silver metallic clearcoat 2016 Jeep Cherokee Limited 4WD 9-Speed 948TE Automatic 2.4L 4-Cylinder SMPI SOHC ***CERTIFIED PRE-OWNED***, One Owner, Clean Carfax, Navigation, Backup Camera, Panoramic Moonroof, Bluetooth, Hands-Free, Leather, Quick Order Package 21G. Recent Arrival! Odometer is 20119 miles below market average! Certification Program Details: Verified Ride Certified Pre-Owned Dan's Jeep Chrysler Dodge in greater Worcester is proud to serve Westborough, Hudson and Millbury with quality Chrysler, Ram, Jeep, Dodge and pre-owned vehicles. We carry a variety of used cars for you to choose from, all of which have gone through our detailed quality inspection before made available on the lot. To make your buying decision easier, we have priced our inventory at a Bottom Line Price. We want to make the process as easy as possible. Still not clear about why so many trust Dan's Jeep Chrysler Dodge, Inc. For all of their Jeep, RAM, Dodge and Chrysler needs? Visit our dealership at 82 Turnpike Rd (route 9) Westborough, Massachusetts and find out for yourself! This Vehicle is a Certified Pre-Owned Vehicle and has passed a 138-Point Inspection and comes with complimentary 12 Months / 12,000 miles of exclusionary coverage and 84 months / 100,000 miles of limited power-train coverage* This Jeep includes: ADVANCED SAFETY Lane Departure Warning Lane Keeping Assist Auto-Dimming Rearview Mirror HID headlights SAFE & SECURITY GROUP Variable Speed Intermittent Wipers Intermittent Wipers Rear Parking Aid Security System Blind Spot Monitor Cross-Traffic Alert Rain Sensing Wipers COLD WEATHER GROUP Heated Steering Wheel Floor Mats Heated Front Seat(s) NAVIGATION GROUP Multi-Zone A/C Smart Device Integration Navigation System A/C Climate Control AM/FM Stereo Satellite Radio Auxiliary Audio Input MP3 Player BLACK, PREMIUM CLOTH/VINYL BUCKET SEATS Vinyl Seats Cloth Seats Bucket Seats POWER LIFTGATE Power Liftgate Remote Trunk Release ENGINE: 2.4L I4 MULTIAIR (STD) 4 Cylinder Engine Gasoline Fuel POPULAR EQUIPMENT GROUP Auto-Dimming Rearview Mirror Power Driver Seat Driver Adjustable Lumbar REDLINE PEARLCOAT QUICK ORDER PACKAGE 27J TRANSMISSION: 9-SPEED 9HP48 AUTOMATIC A/T 9-Speed A/T *Note - For third party subscriptions or services, please contact the dealer for more information. * Your buying risks are reduced thanks to a CARFAX BuyBack Guarantee. The CARFAX report for this 2018 Jeep Compass Latitude highlights that it's a One-Owner vehicle, and for good reason. A One-Owner vehicle gives you the feel of owning a new vehicle without paying the new car price. This vehicle has met all the exacting standards to be classified Certified Pre-Owned. As a compact SUV, this vehicle packs all the performance of a full-size into a package that easily navigates the urban terrain. The greater your fuel-efficiency, the less your carbon footprint. And with exceptional MPGs, this Jeep Compass treads ever so lightly on Mother Earth. Taking the road less traveled has never been more fun than with this 4WD. With improved performance, mileage and acceleration, this 2018 4WD Jeep Compass Latitude is king of the off-road. You can take the guesswork out of searching for your destination with this Jeep Compass Latitude's installed Navigation system. Beautiful exterior. Clean interior. This Jeep Compass is so immaculate it is practically new. *This coverage will be measured from the Manufacturer's original in service date and from zero miles and will expire at 100,000 miles or 84 months from the original in-service date, whichever comes first. This Vehicle is a Certified Pre-Owned Vehicle and has passed a 138-Point Inspection and comes with complimentary 12 Months / 12,000 miles of exclusionary coverage and 84 months / 100,000 miles of limited power-train coverage* This Jeep includes: WIRELESS CHARGING PAD ENGINE: 3.2L V6 24V VVT W/ESS V6 Cylinder Engine Gasoline Fuel BLACK, PREMIUM LEATHER TRIMMED BUCKET SEATS Leather Seats Bucket Seats GRANITE CRYSTAL METALLIC CLEARCOAT POWER FRONT/FIXED REAR FULL SUNROOF Generic Sun/Moonroof Sun/Moonroof Dual Moonroof TRANSMISSION: 9-SPEED 948TE AUTOMATIC 1 SPEED PTU (STD) Transmission w/Dual Shift Mode A/T 9-Speed A/T RADIO: UCONNECT 8.4 NAV WiFi Hotspot HD Radio Navigation System AM/FM Stereo Satellite Radio Bluetooth Connection Telematics Auxiliary Audio Input MP3 Player QUICK ORDER PACKAGE 26G *Note - For third party subscriptions or services, please contact the dealer for more information. * How to protect your purchase? CARFAX BuyBack Guarantee got you covered. This Certified 2016 Jeep Cherokee Limited is a brilliant example of quality meets reliability. This vehicle has been thoroughly inspected and has an assured quality that you won't find with other vehicles. In their original incarnation, SUVs were chiefly owned by folks who valued utility above sport. Not anymore! The Jeep Cherokee Limited redefines the SUV and makes the perfect all around family companion. This Jeep Cherokee Limited comes equipped with 4 wheel drive, which means no limitations as to how or where you can drive. Different terrains and varying weather conditions will have no effect as to how this vehicle performs. Low, low mileage coupled with an exacting maintenance program make this vehicle a rare find. Added comfort with contemporary style is the leather interior to heighten the quality and craftsmanship for the Jeep Cherokee With an efficient and easy to use navigation system, this Jeep Cherokee will help get you from Point A to Point B in no time flat. More information about the 2016 Jeep Cherokee: The Cherokee is a compact SUV competing with vehicles such as the Toyota RAV4 and the Honda CR-V. Like the Cherokees that came before, the 2016 model maintains the tradition of competitive pricing and strong off-road capability starting at just under $24,000. While the Cherokee and its competitors are often offered with all-wheel-drive, the Cherokee offers more aggressive off-roading equipment, such as a locking rear differential. This model sets itself apart with well equipped, Good ground clearance, available all-wheel-drive, roomy interior, excellent value, and bold styling *This coverage will be measured from the Manufacturer's original in service date and from zero miles and will expire at 100,000 miles or 84 months from the original in-service date, whichever comes first. This Vehicle is a Certified Pre-Owned Vehicle and has passed a 138-Point Inspection and comes with complimentary 12 Months / 12,000 miles of exclusionary coverage and 84 months / 100,000 miles of limited power-train coverage* This Jeep includes: ENGINE: 3.2L V6 24V VVT W/ESS V6 Cylinder Engine Gasoline Fuel BLACK, LEATHER TRIMMED BUCKET SEATS Leather Seats Bucket Seats SAFETYTEC -inc: Rear Parking Aid Blind Spot Monitor Cross-Traffic Alert POWER FRONT/FIXED REAR FULL SUNROOF Generic Sun/Moonroof Sun/Moonroof Dual Moonroof BILLET SILVER METALLIC CLEARCOAT TRANSMISSION: 9-SPEED 948TE AUTOMATIC 1 SPEED PTU (STD) Transmission w/Dual Shift Mode A/T 9-Speed A/T RADIO: UCONNECT 8.4 NAV WiFi Hotspot HD Radio Navigation System AM/FM Stereo Satellite Radio Bluetooth Connection Telematics Auxiliary Audio Input MP3 Player QUICK ORDER PACKAGE 26G *Note - For third party subscriptions or services, please contact the dealer for more information. * Your buying risks are reduced thanks to a CARFAX BuyBack Guarantee. As a Certified Pre-Owned vehicle, this Jeep Cherokee Limited offers you the peace of mind because you know it has been rigorously inspected to meet exacting standards. Do so much more with one vehicle. This Jeep Cherokee gives you everything you need an automobile to be. Take home this Jeep Cherokee Limited, and you will have the power of 4WD. It's a great feature when you need to drive over tricky terrain or through inclement weather. One of the best things about this Jeep Cherokee is that it has low, low mileage. It's ready for you to truly break it in. Marked by excellent quality and features with unmistakable refined leather interior that added value and class to the Jeep Cherokee With an efficient and easy to use navigation system, this Jeep Cherokee will help get you from Point A to Point B in no time flat. More information about the 2016 Jeep Cherokee: The Cherokee is a compact SUV competing with vehicles such as the Toyota RAV4 and the Honda CR-V. Like the Cherokees that came before, the 2016 model maintains the tradition of competitive pricing and strong off-road capability starting at just under $24,000. While the Cherokee and its competitors are often offered with all-wheel-drive, the Cherokee offers more aggressive off-roading equipment, such as a locking rear differential. Strengths of this model include well equipped, Good ground clearance, available all-wheel-drive, roomy interior, excellent value, and bold styling *This coverage will be measured from the Manufacturer's original in service date and from zero miles and will expire at 100,000 miles or 84 months from the original in-service date, whichever comes first. This Vehicle is a Certified Pre-Owned Vehicle and has passed a 138-Point Inspection and comes with complimentary 12 Months / 12,000 miles of exclusionary coverage and 84 months / 100,000 miles of limited power-train coverage* This Jeep includes: TRANSMISSION: 5-SPEED AUTOMATIC (W5A580) 5-Speed A/T A/T BAJA YELLOW CLEARCOAT BLACK 3-PIECE HARD TOP Targa Roof Rear Defrost Convertible Hardtop ENGINE: 3.6L V6 24V VVT (STD) V6 Cylinder Engine Gasoline Fuel STANDARD PAINT QUICK ORDER PACKAGE 24S Aluminum Wheels Power Mirror(s) Power Windows Privacy Glass Auto-Dimming Rearview Mirror Heated Mirrors Security System Leather Steering Wheel Power Door Locks Keyless Entry Tires - Rear All-Terrain Tires - Front All-Terrain ALPINE 9-SPEAKER W/ALL WEATHER SUBWOOFER Premium Sound System BLACK, CLOTH BUCKET SEATS Cloth Seats Bucket Seats WHEELS: 17 Aluminum Wheels TIRES: P255/75R17 OWL ON/OFF ROAD Tires - Rear All-Terrain Tires - Front All-Terrain CONNECTIVITY GROUP Tire Pressure Monitor Bluetooth Connection *Note - For third party subscriptions or services, please contact the dealer for more information. * CARFAX BuyBack Guarantee is reassurance that any major issues with this vehicle will show on CARFAX report. As a Certified Pre-Owned vehicle, this Jeep Wrangler Unlimited Sport offers you the peace of mind because you know it has been rigorously inspected to meet exacting standards. As a compact SUV, this vehicle packs all the performance of a full-size into a package that easily navigates the urban terrain. At home in the country and in the city, this 2015 4WD Jeep Wrangler Unlimited Sport has been wonderfully refined to handle any occasion. Smooth steering, superior acceleration and a supple ride are just a few of its qualities. Tired of replacing tires? You're in luck. This vehicle just had them replaced for you, New Brakes front and rear (Pads & Rotors). More information about the 2015 Jeep Wrangler Unlimited: With prices starting at a little under $23,000 with standard 4-wheel drive, the classic Wrangler is one of the best SUV values available. The 6-speed manual transmission helps the Wrangler achieve a decent 17 mpg city and 21 mpg highway rating. Jeep considers the Wrangler's off-road prowess integral to the brand and they continue to make one of the most capable 4-wheel drive vehicles available. This model sets itself apart with 2- and 4-door configurations available, Iconic styling, and impressive off-road prowess *This coverage will be measured from the Manufacturer's original in service date and from zero miles and will expire at 100,000 miles or 84 months from the original in-service date, whichever comes first. This Vehicle is a Certified Pre-Owned Vehicle and has passed a 138-Point Inspection and comes with complimentary 12 Months / 12,000 miles of exclusionary coverage and 84 months / 100,000 miles of limited power-train coverage* This Jeep includes: All New Brakes Front and Rears, Pads and Rotors along with 4 Brand New Tires. This Wrangler is Ready to have Fun! TRANSMISSION: 5-SPEED AUTOMATIC (W5A580) 5-Speed A/T A/T BLACK 3-PIECE HARD TOP Targa Roof Rear Defrost Convertible Hardtop FIRECRACKER RED CLEAR COAT ENGINE: 3.6L V6 24V VVT (STD) V6 Cylinder Engine Gasoline Fuel STANDARD PAINT QUICK ORDER PACKAGE 24S Aluminum Wheels Power Mirror(s) Power Windows Privacy Glass Auto-Dimming Rearview Mirror Heated Mirrors Security System Leather Steering Wheel Power Door Locks Keyless Entry Tires - Rear All-Terrain Tires - Front All-Terrain BLACK, CLOTH BUCKET SEATS Cloth Seats Bucket Seats WHEELS: 17 Aluminum Wheels CONNECTIVITY GROUP Tire Pressure Monitor Bluetooth Connection *Note - For third party subscriptions or services, please contact the dealer for more information. * CARFAX BuyBack Guarantee is reassurance that any major issues with this vehicle will show on CARFAX report. This a worry-free vehicle that has passed our certification process. This Jeep Wrangler Unlimited Sport defines excellence in an SUV. It has the convenience of limitless boundaries paired with city sophistication. This 4WD-equipped vehicle will handle beautifully on any terrain and in any weather condition your may find yourself in. The benefits of driving a 4 wheel drive vehicle, such as this Jeep Wrangler Unlimited Sport, include superior acceleration, improved steering, and increased traction and stability. More information about the 2015 Jeep Wrangler Unlimited: With prices starting at a little under $23,000 with standard 4-wheel drive, the classic Wrangler is one of the best SUV values available. The 6-speed manual transmission helps the Wrangler achieve a decent 17 mpg city and 21 mpg highway rating. Jeep considers the Wrangler's off-road prowess integral to the brand and they continue to make one of the most capable 4-wheel drive vehicles available. Strengths of this model include 2- and 4-door configurations available, Iconic styling, and impressive off-road prowess *This coverage will be measured from the Manufacturer's original in service date and from zero miles and will expire at 100,000 miles or 84 months from the original in-service date, whichever comes first. This Vehicle is a Certified Pre-Owned Vehicle and has passed a 138-Point Inspection and comes with complimentary 12 Months / 12,000 miles of exclusionary coverage and 84 months / 100,000 miles of limited power-train coverage* This Jeep includes: POWER FRONT/FIXED REAR FULL SUNROOF Generic Sun/Moonroof Sun/Moonroof Dual Moonroof ENGINE: 3.2L V6 24V VVT W/ESS V6 Cylinder Engine Gasoline Fuel BLACK, LEATHER TRIMMED BUCKET SEATS Leather Seats Bucket Seats BRIGHT WHITE CLEARCOAT LUXURY GROUP Mirror Memory Cooled Front Seat(s) Power Mirror(s) Seat Memory Heated Front Seat(s) HID headlights Power Liftgate Remote Trunk Release TRANSMISSION: 9-SPEED 948TE AUTOMATIC 1 SPEED PTU (STD) Transmission w/Dual Shift Mode A/T 9-Speed A/T RADIO: UCONNECT 8.4 NAV WiFi Hotspot HD Radio Navigation System AM/FM Stereo Satellite Radio Bluetooth Connection Telematics Auxiliary Audio Input MP3 Player QUICK ORDER PACKAGE 26G *Note - For third party subscriptions or services, please contact the dealer for more information. * This 2016 Jeep Cherokee comes with a CARFAX Buyback Guarantee, which means you can buy with certainty. Very few vehicles meet the exacting standards of Certified Pre-Owned status. This Jeep Cherokee Limited has met those standards. The Jeep Cherokee Limited offers a fair amount of utility thanks to its advanced features and unique styling. It's also quite sporty, and injects an ample amount of handling chutzpah into the ridin'-high body of a family-friendly SUV. This 4WD-equipped vehicle will handle majestically on any terrain and in any weather condition your may find yourself in. The benefits of driving an Four Wheel Drive vehicle, such as this JeepCherokee Limited, include superior acceleration, improved steering, and increased traction and stability. The incredibly low mileage and painstaking upkeep on this Jeep Cherokee makes it a once-in-a-lifetime deal that won't last long! Call us today to reserve your test drive! Marked by excellent quality and features with unmistakable refined leather interior that added value and class to the Jeep Cherokee Drive any city's streets like you've lived there all your life using the navigation system on this Jeep Cherokee. More information about the 2016 Jeep Cherokee: The Cherokee is a compact SUV competing with vehicles such as the Toyota RAV4 and the Honda CR-V. Like the Cherokees that came before, the 2016 model maintains the tradition of competitive pricing and strong off-road capability starting at just under $24,000. While the Cherokee and its competitors are often offered with all-wheel-drive, the Cherokee offers more aggressive off-roading equipment, such as a locking rear differential. Interesting features of this model are well equipped, Good ground clearance, available all-wheel-drive, roomy interior, excellent value, and bold styling *This coverage will be measured from the Manufacturer's original in service date and from zero miles and will expire at 100,000 miles or 84 months from the original in-service date, whichever comes first.